Happy Labor Day! Hope you’re all having a wonderful and relaxing 3-day weekend in what feels like the last weekend of summer. I’m ready to settle into fall with lots of football games (Go Vandals! ), cooler weather, family coming to visit, and new inspiration in the kitchen like baked treats and hearty soups. 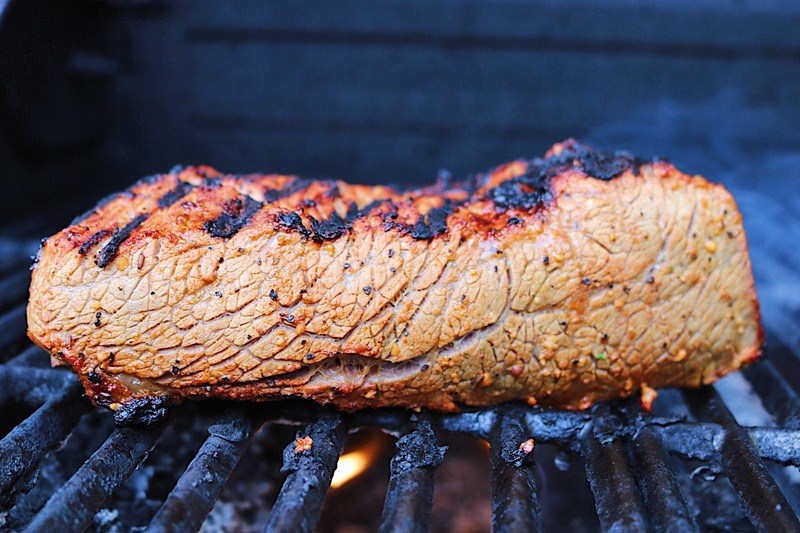 One recipe I’ve been dying to share but have yet to is this Grilled Tri Tip Roast. I wanted to share it as the temps start to cool (minus this blazing weekend) and BBQing is more enjoyable again. 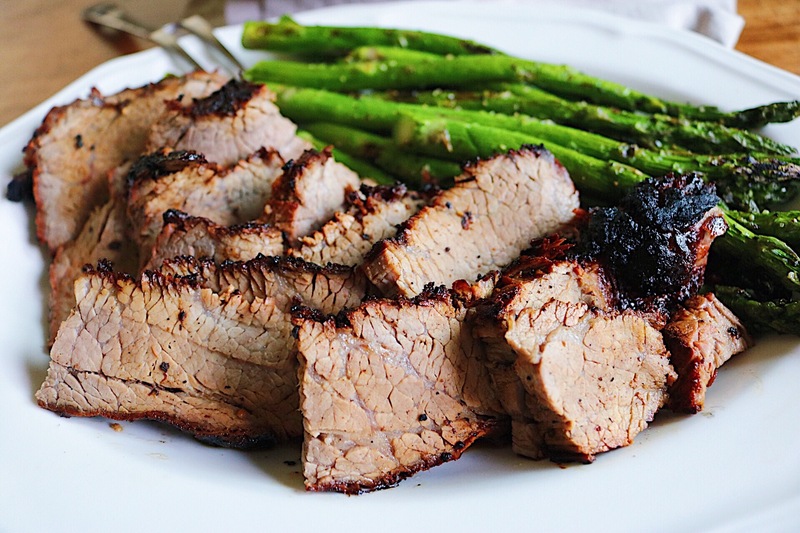 This Tri Tip recipe is our absolute favorite dinner, hands down and it is surprisingly simple. 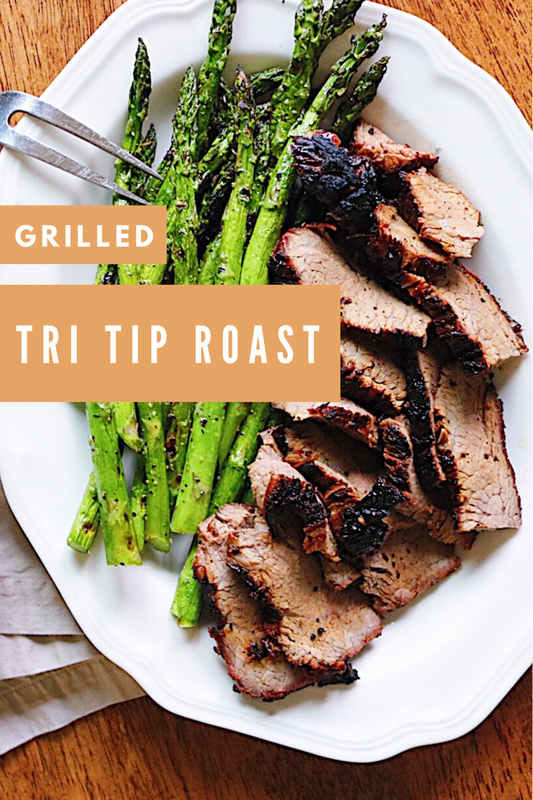 It just takes a tri tip roast, some seasonings, a sear on the grill and then turned to low until it’s cooked through with a perfectly charred crust and is tender and juicy on the inside. 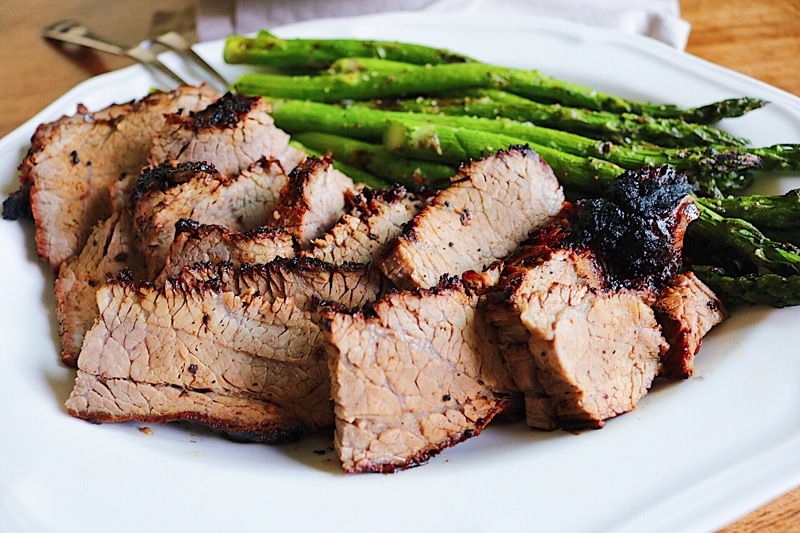 If we’re making a Sunday night dinner, having people over for dinner or having a special night in we are more than likely making this Tri Tip recipe. If you’ve been to our house for dinner I’m sure we’ve made this for you! I think I haven’t posted this recipe yet because it’s just one of those we make without thinking. This recipe started with Eric making it for me and our friends all the time while we were in college, and it’s basically a part of our marriage now that’s how much we both love it. I don’t normally do the grilling around here but even I’ve gotten this recipe down, because like I said this recipe is very easy to make. We’ve made it so many times we don’t have to measure anything because we both know it by heart. That’s why it took a little work to get the recipe written out and photographed to be able to share it with you all because normally we devour it faster than you could say “Grilled Tri Tip Roast”. When we moved to Indiana it was a huge shock when we realized we couldn’t just go buy a Tri Tip at the grocery store like we were used to in CA. Not everyone in the country knows or has had Tri Tip before and we had to make special requests with the butcher so we could buy it. Thankfully, here in Idaho we can find it without always having to make a special request. Being from California we were always able to find it or order it at restaurants (Dog House Grill – we miss you!). But, I’d say this recipe beats even our favorite restaurant versions – I may be a bit biased though. 🙂 I’m so happy to finally share this Tri Tip recipe with you all and I know if you make it you will absolutely love it! 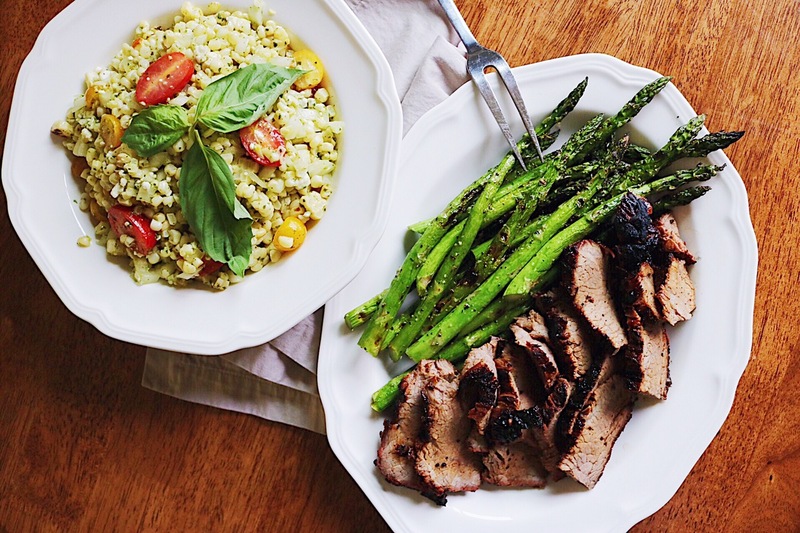 For the perfect meal try it with our other favorite recipe for Grilled Corn Salad and some sort of grilled veggies like asparagus. It’s a meal that doesn’t disappoint! 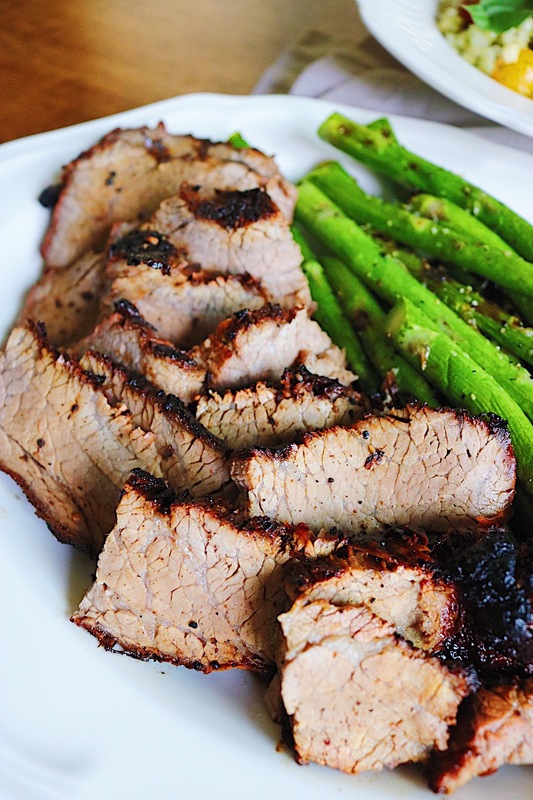 The best Grilled Tri Tip Roast recipe - ever! 1.25 – 1.5 lb Tri Tip Roast, approx. Place the Tri Tip in a baking dish and coat with the Worcestershire. Mix together the seasonings and rub the mixture all over the Tri Tip making sure the entire roast is coated. Cover with foil and place in the refrigerator to marinate for ideally a minimum of 4 hours but up to 24 hours. 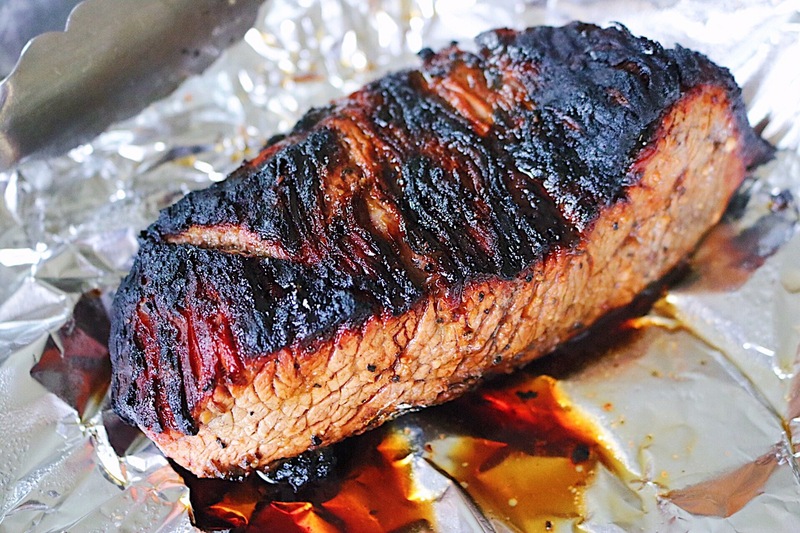 Once the meat has marinated and you are ready to start barbecuing remove the Tri Tip from the refrigerator and let sit out 15 minutes to remove the chill. Pre-heat the grill on Med-High. Once your grill has pre-heated, spray with cooking oil and place the meat on the grill, pour the marinade juices over the top and let it sear on the first side with the grill closed for 5 minutes. Flip the meat and let sear on the second side with the grill closed for another 5 minutes. Once the meat is seared turn the grill temperature to low and move the roast to the top rack of the grill placing it with the initial cooked side down, let it grill on low for 10 minutes with the grill closed. Return to the grill, flip the Tri Tip and let it continue to cook for about 8 more minutes. When the time is up, check the internal temp for your desired doneness – per this cook time it should be about Medium- Well. Remove from the grill and cover with foil letting the meat rest for 10 minutes. To serve, thinly slice against the grain and pour any residual juices over the sliced meat. 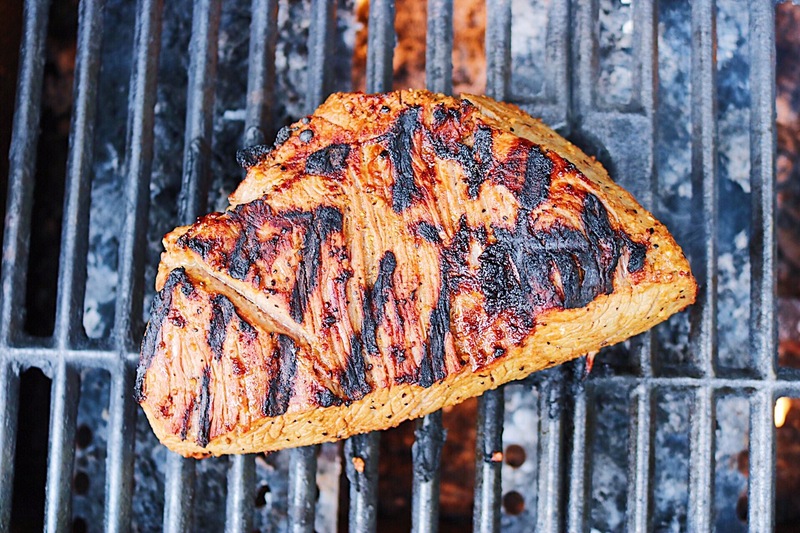 The size of the Tri Tip can be between 1.25 – 1.75 lbs for the seasoning amounts listed. For a larger roast, use the latter measurement of Lawry’s. We both like our meat cooked Medium but we prefer Tri Tip cooked Medium-Well if that helps gauge your preferred doneness. I hope you’re having a relaxing and wonderful Labor Day! Don’t want to miss a recipe or post on CB EATS? 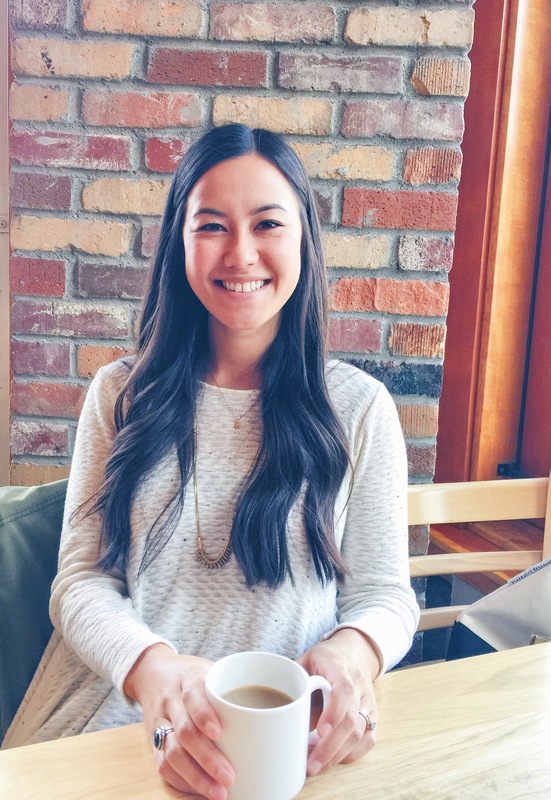 – subscribe to email updates or follow along on Instagram or Pinterest.